Planting has never been this precise. 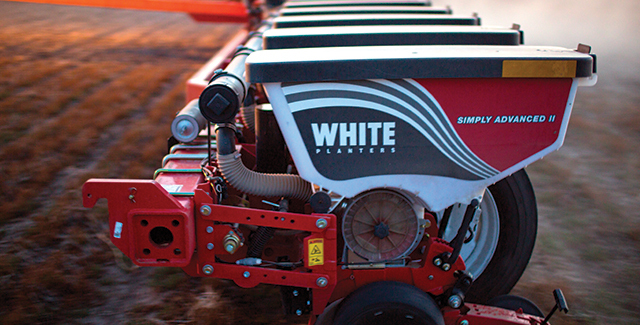 White Planters™ from Alliance Ag Equipment are designed with the accuracy producers and farmers need for enhanced performance, quicker planting and higher yields. Alliance Ag Equipment carries the 8000 and 9000 Series White Planters. With White Planters, it’s all in the design. Their positive air pressure system and exclusive edge-drop technology provide uninterrupted, super-precise seed placement in essentially any planting conditions.